April 17, 2019 .Reading time 3 minutes. Design Bundles is having an Easter sale! Over 137,000 products are on sale at up to 50% off the regular price. The sale ends on April 22, but designers can take their items off sale at anytime, so don’t wait to grab a bargain! April 15, 2019 .Reading time 1 minute. The Hungry JPEG has a great new bundle for Mother’s Day! The Mama Dearest Craft Bundle has 99 cut files and nine font files for only $16! Dreaming Tree has a new SVG bundle just in time for Easter decorating! It includes a gift box, a treat box, and a box card. The Easter Time SVG Bundle is free with a purchase of $9.98 or more. The Amazing April Bundle from CraftBundles is truly amazing! There are 20 fonts plus over 70 graphic packs with themes ranging from Father’s Day, Mother’s Day, Cinco de Mayo, Cute Animals and many more! March 26, 2019 .Reading time 1 minute. The Eggcellent Easter Bundle from CraftBundles has everything you need for all your Easter decorations and crafts. You get 50 cut files for ONLY $6, with full commercial license included! March 22, 2019 .Reading time 3 minutes. Dreaming Tree has a beautiful new bundle to welcome spring here in the Northern Hemisphere! The Spring Celebrations SVG Bundle is free with a purchase of $9.98 or more. March 20, 2019 .Reading time 1 minute. The Big Easter and Spring Bundle from CraftBundles is now available and includes over 160 cut ready SVG files and over 150 clip art files for only $14! This new bundle from Dreaming Tree is perfect for Mother’s Day, weddings, birthdays, or other gift-giving occasions! The Elegant Evening Bags SVG Bundle is free with a purchase of $9.98 or more. March 5, 2019 .Reading time 1 minute. DesignBundles has yet another amazing bundle! The Mega Craft Bundle III is 91% off for a limited time and includes thousands of design elements for only $19! The Hungry JPEG’s Flash Sale Friday bundle is now available, and you get a total of 25 script fonts with this bundle for only $6 ($67 value)! Like my Facebook page for great deals and freebies! 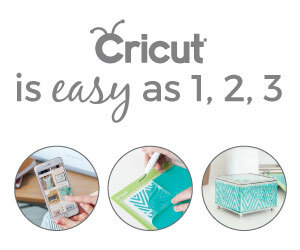 Join me in the Cricut Explore, Maker and More Facebook Group for more tips, inspiration, and designs!